Nara is a city near Osaka and Kyoto. 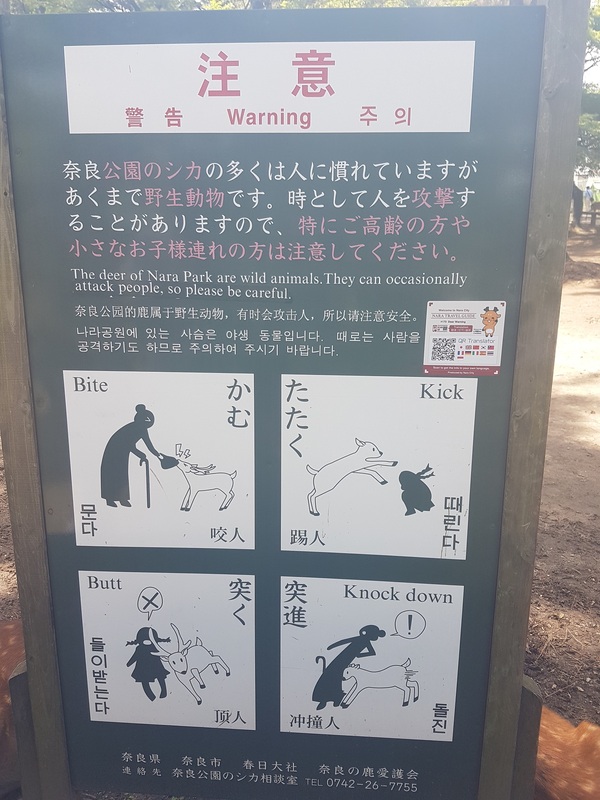 Nara is famous internationally for the deer; they live wild in the city and especially in the huge Nara Park. 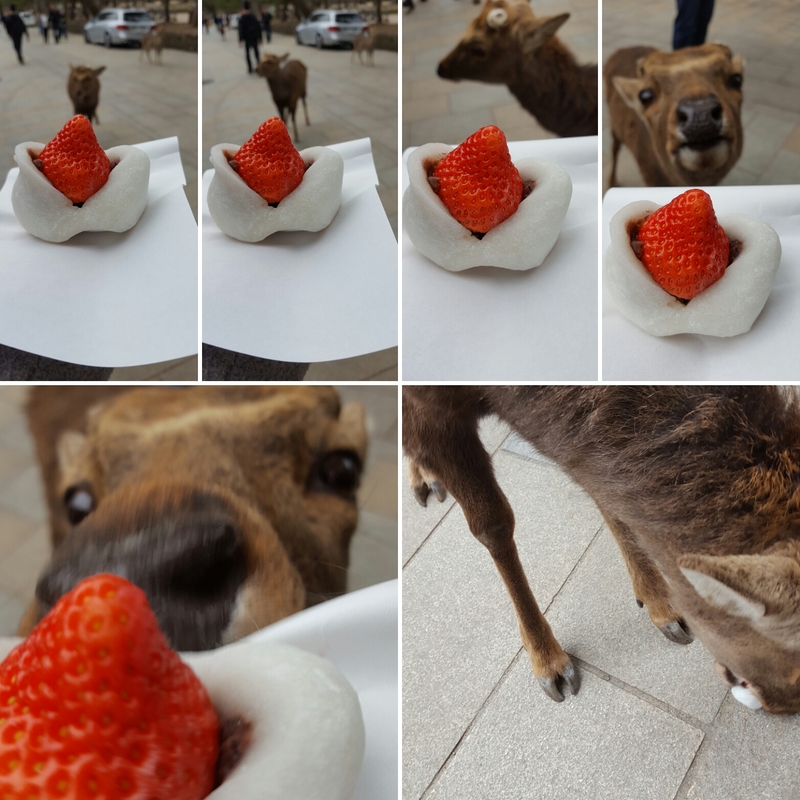 Once you get off the station, the deer are waiting on the footpath immediately outside, ready to steal your food. 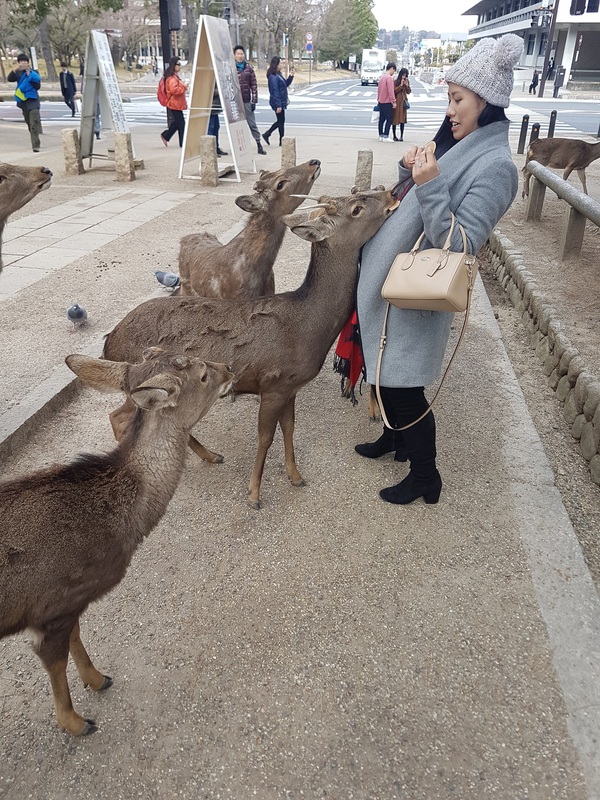 Small stalls line the street selling crackers for a few hundred yen, and the deer congregate near them waiting to see people with food in hand. 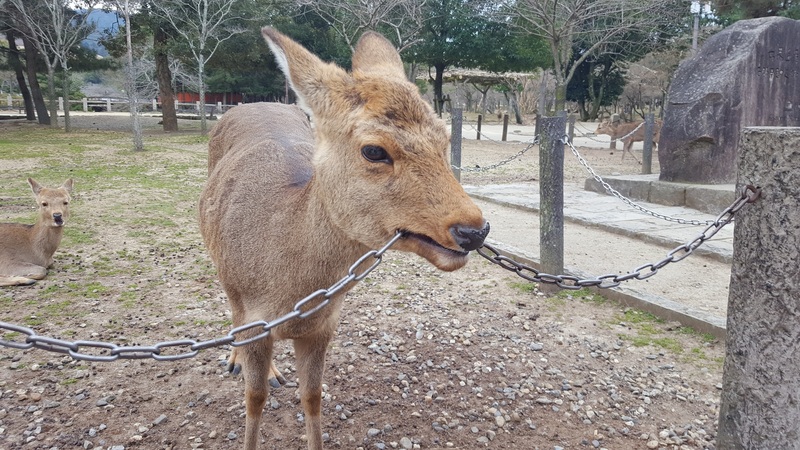 They're not totally tame though, and can be pretty nippy and pushy when they're fighting other deer for food, so be careful not to lose your balance. 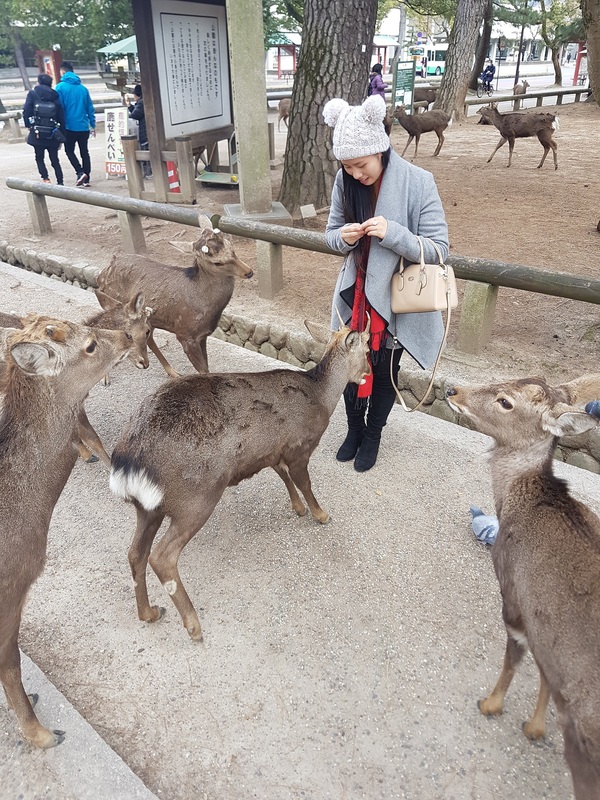 That said, going to Nara park and walking among dozens of deer that just casually roam the streets is a pretty unique experience and definitely one I recommend. 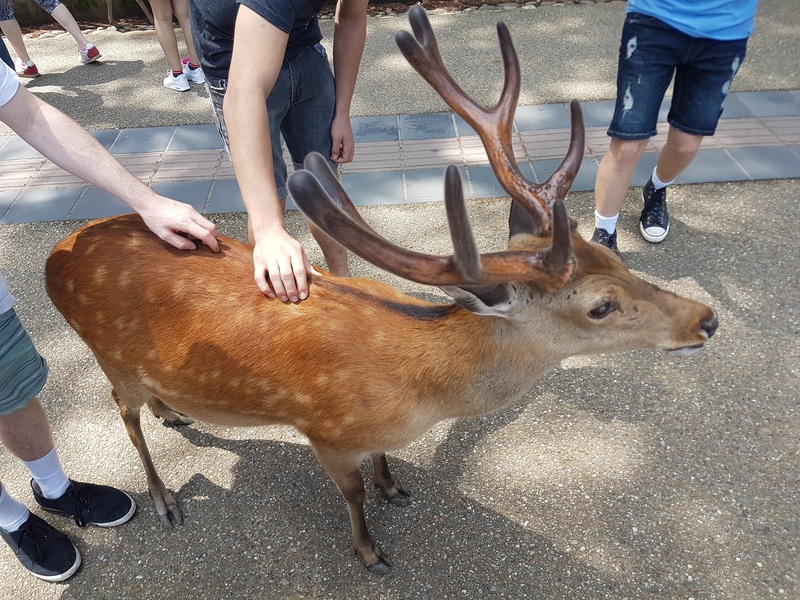 Take the train from Osaka to Kintetsu Nara Station, and from there the park is about a 15 minute walk, although you'll see deer pretty much as soon as you exit the station. You'll see these signs scattered around the park. They aren't joking! 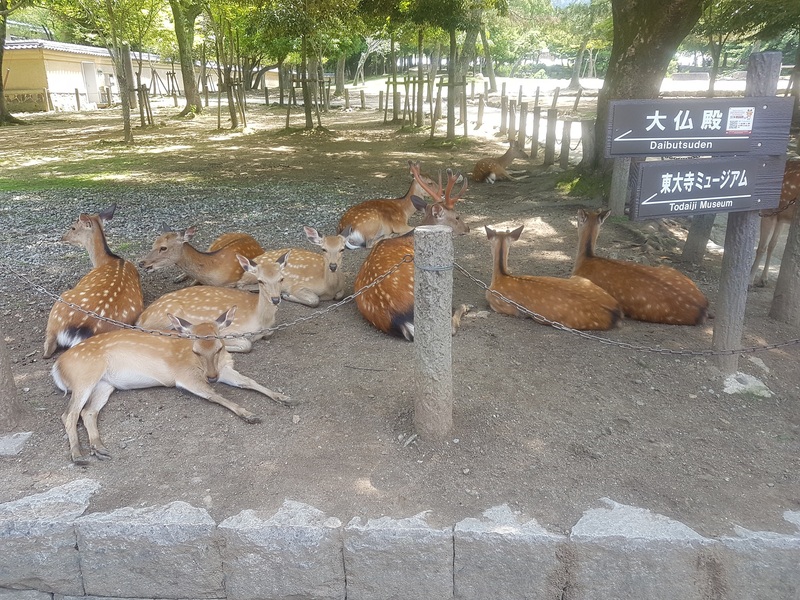 The deer have picked up on some traditional Japanese habits - particularly bowing. 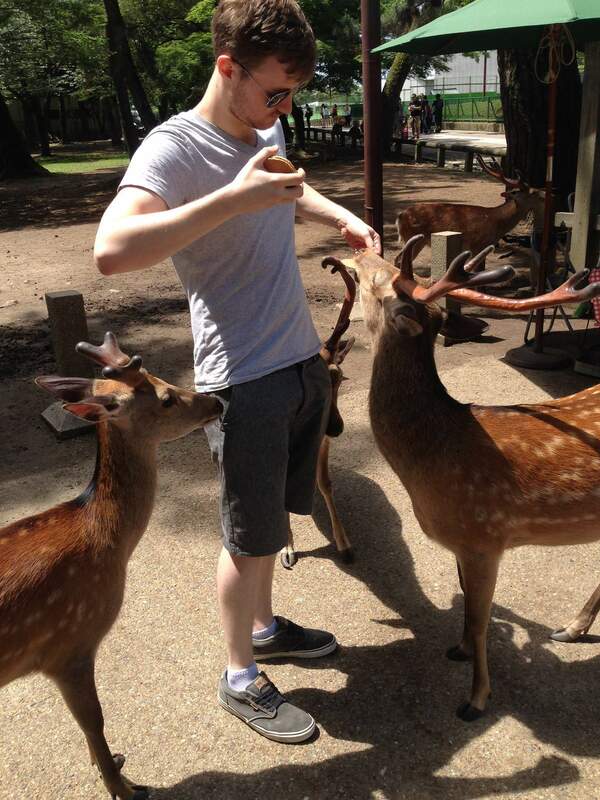 Here you can see the deer bowing to Shannon to get food.